As part of Black History Month, award-winning poet Jamaal May will give a poetry reading at University of the Pacific. May’s poetry explores the tension between opposites to render a sonically rich argument for the interconnectivity of people, worlds and ideas. He co-directs OW! Arts with Tarfia Faizullah. May is the author Hum (Alice James Books, 2013) and The Big Book of Exit Strategies (Alice James Books, 2016). 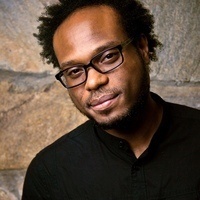 His first collection received a Lannan Foundation Grant, American Library Association’s Notable Book Award, and was named a finalist for the Tufts Discovery Award and an NAACP Image Award. May's other honors include a Spirit of Detroit Award, the Wood Prize from Poetry, an Indiana Review Prize, and fellowships from The Stadler Center, The Kenyon Review, and the Civitella Ranieri Foundation in Italy. Anyone requiring accommodations to attend this event, please contact Xiaojing Zhou at 209.946.2511 or xzhou@pacific.edu at least 48 hours prior to the event.